Livening up snack time with some not so average treats. 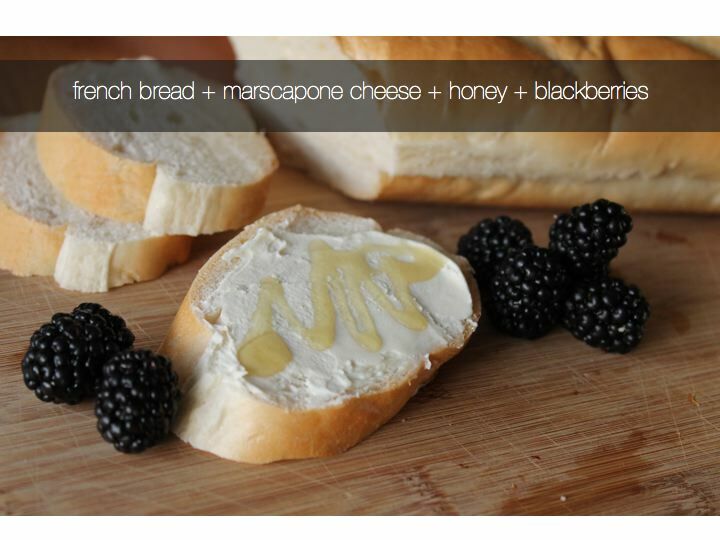 Currently snacking on french bread smothered in marscapone cheese (a sweet Italian cream cheese), drizzled with honey, and paired with blackberries. Quick, easy, and mighty tasty! That looks amazing! Where can I get the cheese at in the city? Most grocery stores have the cheese, John. Man oh man that looks delish. I will have to make it for SuperSmart SuperHot Girlfriend. Nom nom nom.